The Knowledge Economy ( K-economy) is much heralded as enabling the death of distance, the opportunities and promise of human capital development via life long learning and e- learning, the development of learning communities and knowledge enrichment of communities through community portals, to mention a few implications. 1. What are the drivers that induce and necessitate the diffusion and adoption of ICT globally ? Relatedly, what attitudes and competencies facilitate or impede the adoption process ? The notion of cognitive literacy will be examined in this context. 2. What are the needs and wants of knowledge societies that can be facilitated as design features for learning by understanding the subtleties of the dimensions of culture both from national and organisational perspectives ? An eco-textural paradigm is used to frame the discussion of the integral role of enabling technologies, in learning, personal and cultural enrichment. It is envisaged that both affective and cognitive dimensions will be validated in wisdom attainment as the fulfilment of the Knowledge Society. 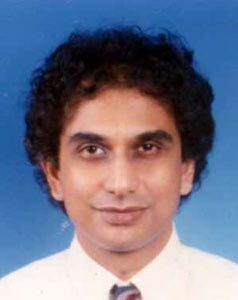 Dr. Mohan Raj GURUBATHAM is an Associate Professor of Strategy at the International Business School, University Technology Malaysia, in Kuala Lumpur. Mohan has a PhD in learning sciences, and organisational behaviour from the University of Iowa , an MBA from Maharishi University of Management, Iowa, an MA in Mass Communications from the University of Leicester International Centre for Mass Communications Research, and a BSC in Psychology. Prior to returning to academe he had several years of consulting experience in global consulting firms such as Accenture, SAP-Ag, and the Brand Lab with Leo Burnett. In technology and change projects and an e-learning start up for a major Malaysian university.